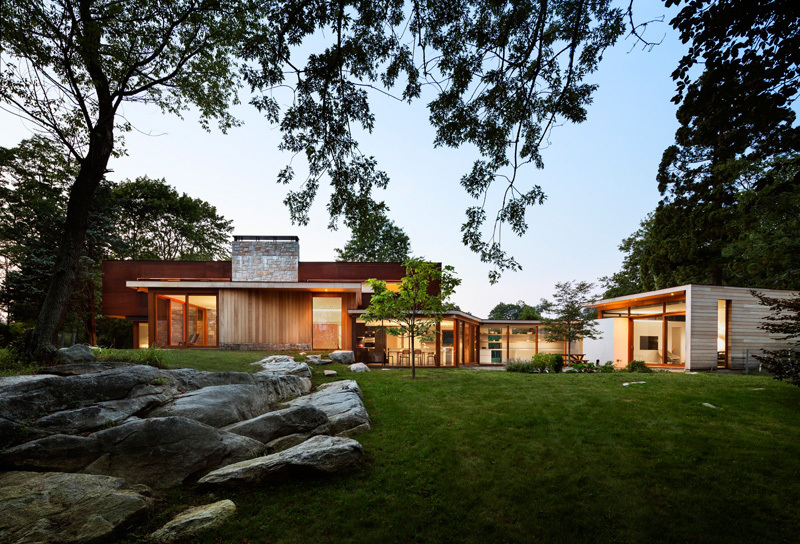 This home in Stonington, Connecticut, was originally designed during World War II (1945) by architect John Lincoln, a former senior architect for the Navy at Quonset Point, a professor of architecture at the Rhode Island School of Design, and the inventor of the Quonset Hut. 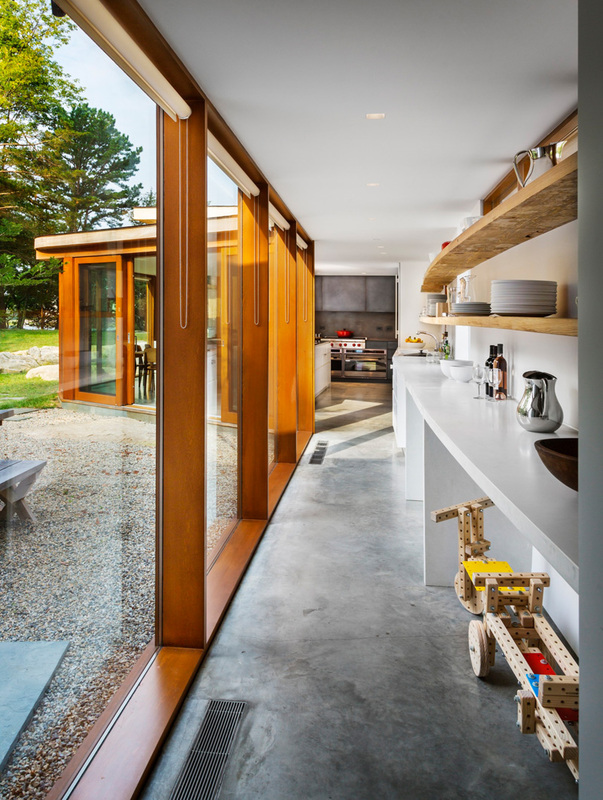 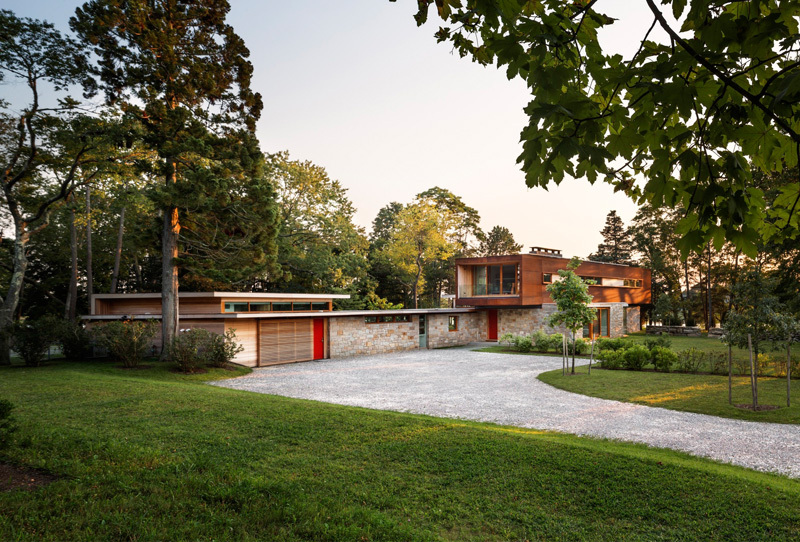 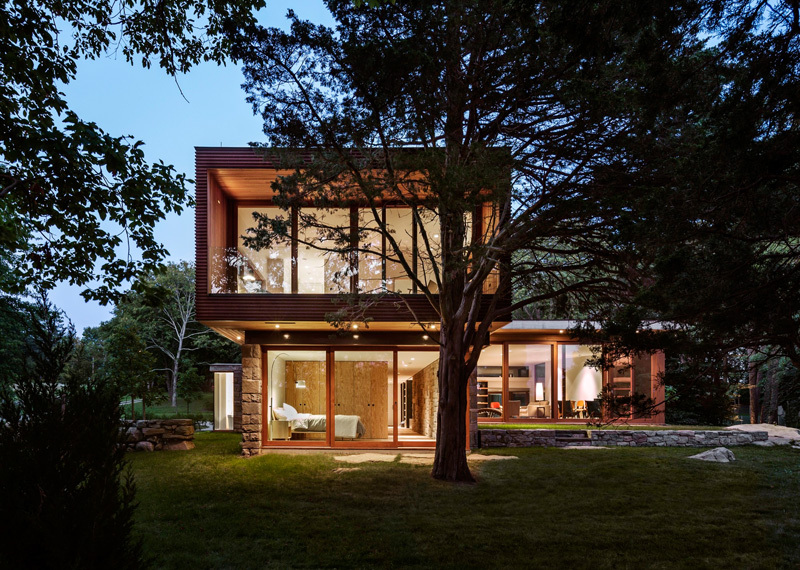 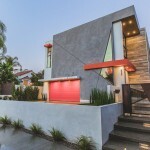 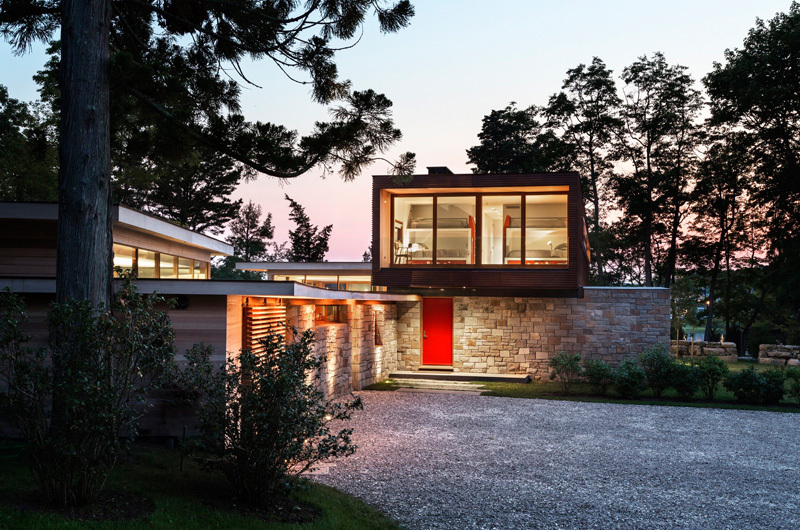 The task of renovating the home was given to architecture firm Joeb Moore & Partners. 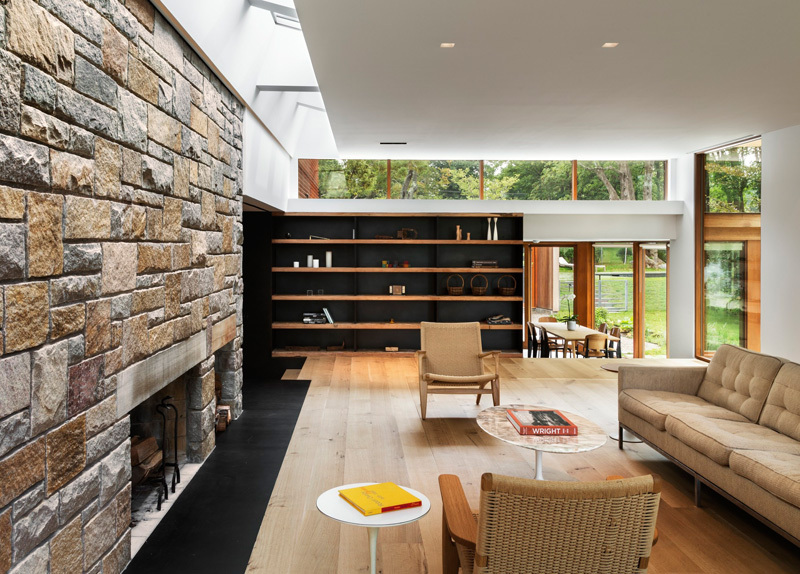 Situated on a small stone ledge, between 300 feet of waterfront and a large meadow, the home received a contemporary update, while still keeping some of the original features..
A blackened steel wall with wooden shelves has been inspired by the industrial heritage of the Quonset. 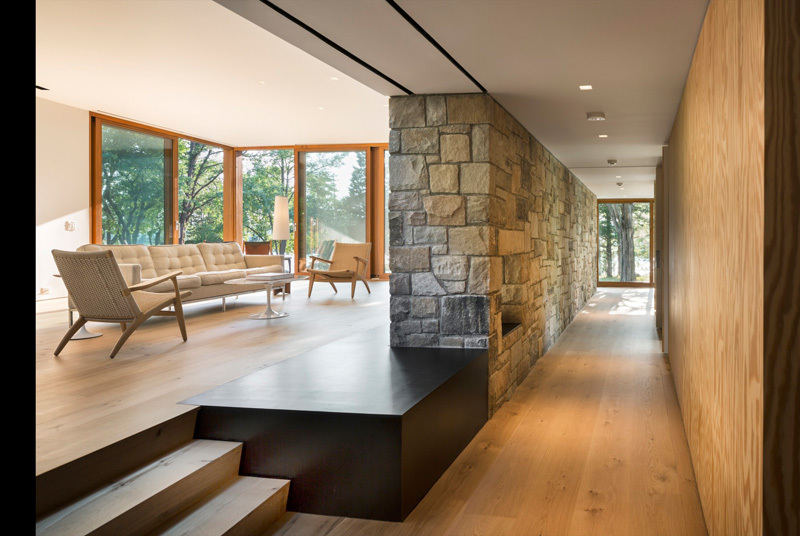 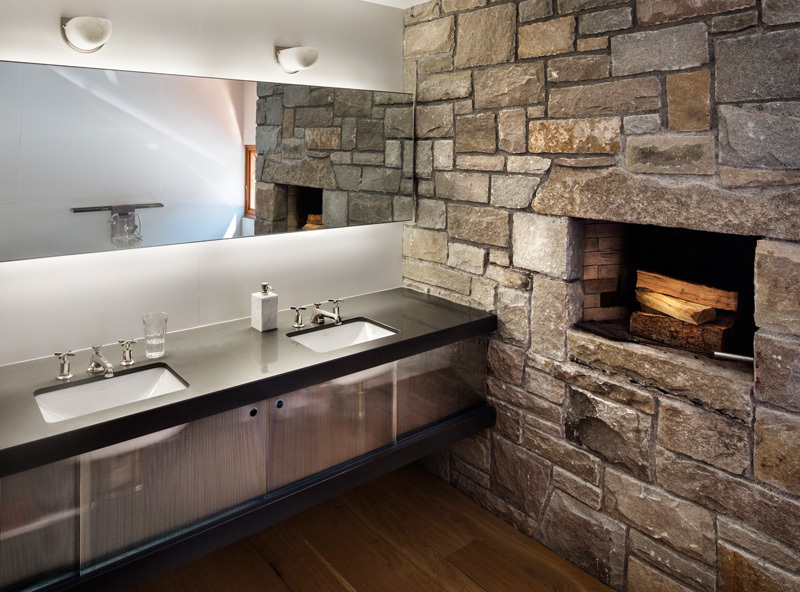 An original stone granite wall runs throughout the home. 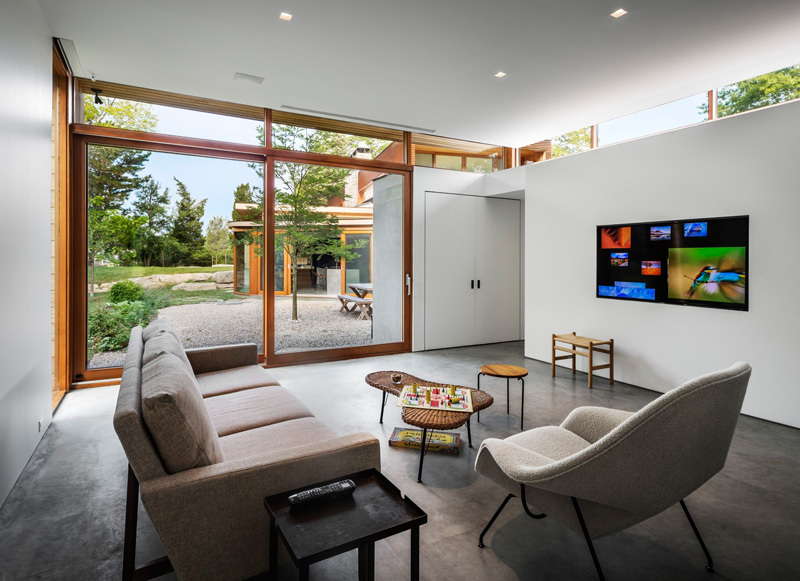 The living area of the home has been raised from the surrounding kitchen and dining room. 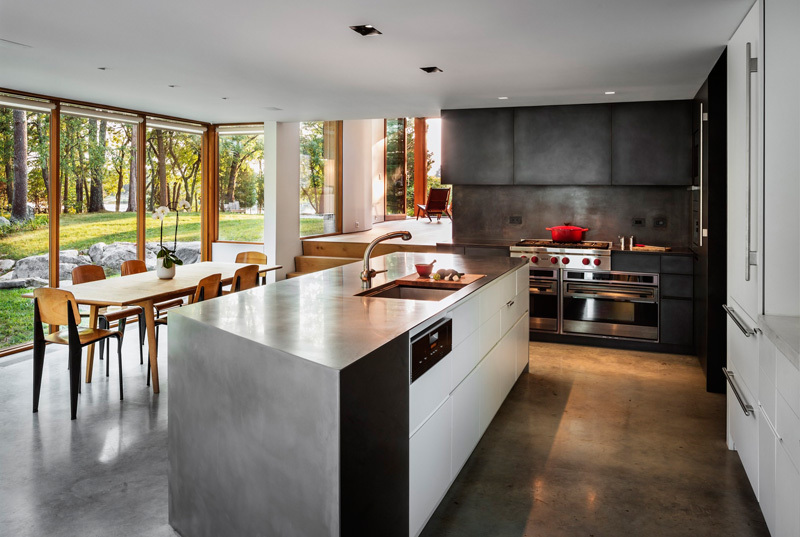 The dining room and kitchen share the same space. 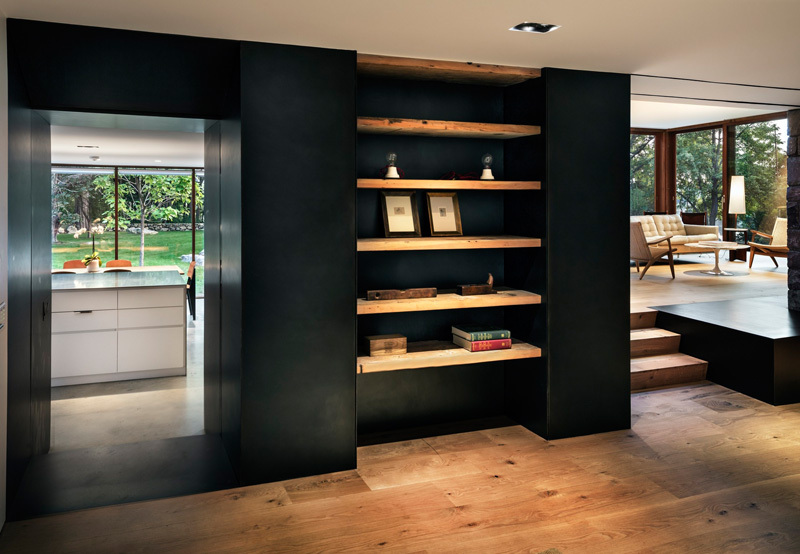 A large shelving unit lines a walkway in the home.